Hip Hop and theatre. Two powerful performance forms. Two amazing ways to tell stories. What happens when you put them together? Spiritrials is a live hip hop soundtrack, a theatrical meditation on race, religion and the criminal justice system. 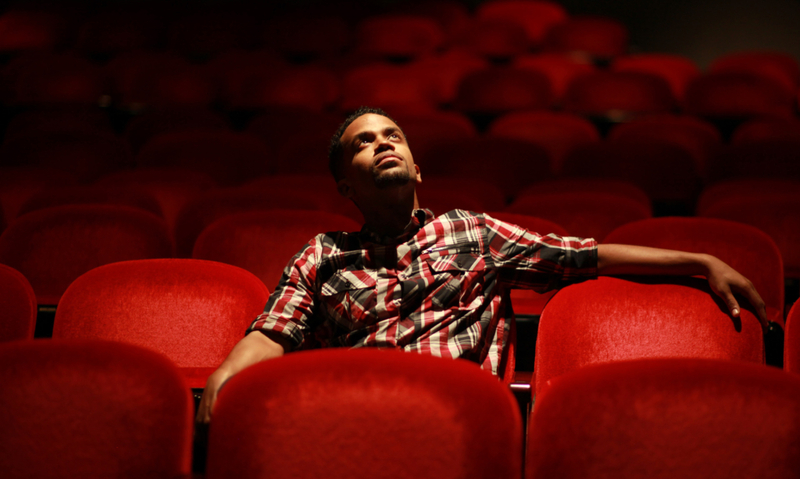 In Spiritrials, commissioned and produced by Oakland’s Youth Speaks and presented by Portland’s own Boom Arts, Los Angeles-based Def Poetry Jam alum Dahlak Brathwaite does just that, touching on issues like racial profiling, religion and faith, addiction and drug policy, criminal justice, and human imperfection through his own personal story. This virtuosic creator/performer, past winner of the Brave New Voices National Poetry Slam, flows seamlessly between rap, song, and storytelling, accompanied by beats and samples spun live from the turntable by DJ Dion Decibels and performing against a backdrop of lush projections by Joan Osato. Mr. Brathwaite’s funny, insightful, poignant, fiercely original creation is a do-not-miss performance experience.